This festival is celebrated based on the solar year. 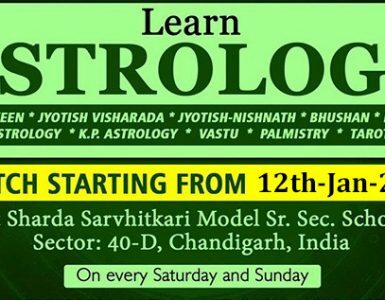 As per Vedic astrology, Sun transits from Saggitarius to capricorn sign on the zodiac. Sun changes its position from Dakshinayan (South) to Uttarayan ( North). Makar Sankranti is also known to be the festival of Sankraman kaal of the Sun. Sun transits through 12 signs of the Zodiac in one year. Sankranti is once in a month when sun moves from one Zodiac sign to other. Makar Sankranti is celebrated once in year. Sun will move into Capricorn sign of the Zodiac on the 14th of January, hence it is called Makar Sankranti. Dakshinayan (South) and Uttarayan (North) are both of 6 months each. Uttarayan is believed to be the day of the Gods and Dakshinayan is believed to be the night. In Mahabharata, Bhisham Pitama waited for the Sun’s Uttarayan while laying on his death bed. People wake up early on this day and bathe in rivers and lakes. People also worship the Sun and offer water to the Sun lord. On Makar Sankranti, Puja is done in religious places and food is offered in the form of “Langar” to the masses. People eat Khitchdi, Kheer and food made from “Till”. At many places, utensils made from earth are covered in turmeric and wheat, Turmeric, cotton, sugarcane and coins are kept in them. People also fly kites during Makar Sankranti and tournaments are organized at many places. In eastern India Makar Sankranti, is known as Bhogali Bihu. In southern India it is known as Pongal. In western India it is known as Uttaayana and in Northern India It is known as Maaghi.